Welcome to the Century House Court Whist Group page. We’re welcoming new players this month, so please read on. What We Do: Come and enjoy a few hours of gentle intellectual activity playing Court Whist. Some experience is necessary but if you have ever played any type of whist, whether recently or in earlier years, you will quickly pick up the basic requirements of Court Whist. Important to Know: What is Court Whist? The game of whist may not be as popular a game as it used to be, Bridge really managed to take its place, but still, this delightful game is simple to understand and generally a fun way to pass some time with friends. 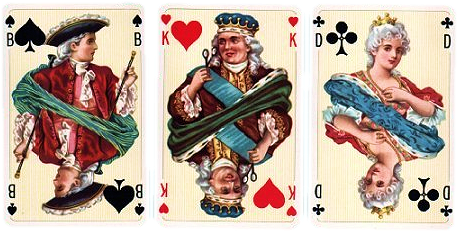 Whist continues to be played widely in Britain, often in local tournaments called “whist drives”. Whist is a game of strategy and can be rather amusing. Whist is a plain trick game, where 4 players, paired off in partners, try to win as many tricks as they can. It is similar to Bridge because it involves four players broken into teams of two. However, it is much easier to play. When Do We Meet? : Tuesdays at 1-3:30 p.m.
could you have a regular presentation of taiko 55 who are from Richmond BC?